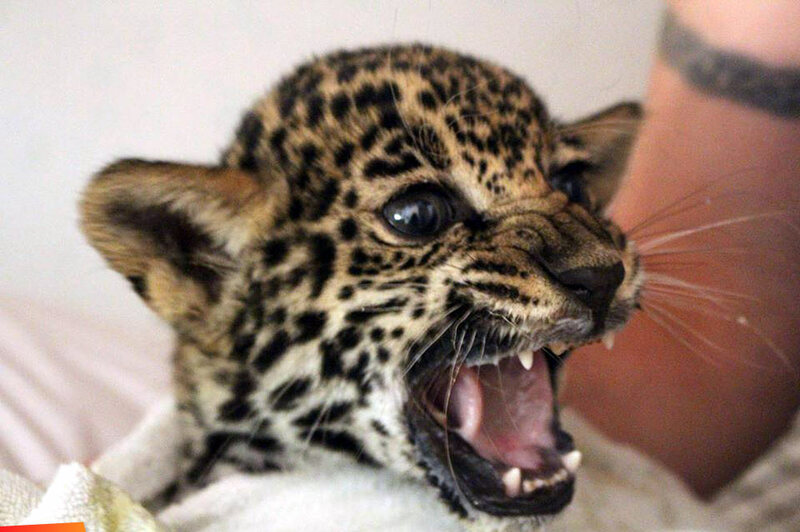 Feisty wild kitten - the orphaned jaguar cub Chiquibul. Milk face and all! Last June, Chiquibul was rescued from drowning by FCD rangers, treated at the Belize Wildlife & Referral Clinic and transferred to The Belize Zoo for sanctuary and safe keeping as an ambassador for her species and an endangered protected area the Chiquibul. Chiquibul the orphaned jaguar cub who had been rescued from drowning by FCD rangers and received by BWRC last week Monday, responded well to treatment, recovered and was transferred to the best little zoo, The Belize Zoo - TBZ after 12 days of care at BWRC. While BWRC is a non-public facility providing medical care and rehabilitation for wildlife, which generally prescribes complete exclusion of unnecessary human interaction (so we could not fulfill countless peoples wishes to see the cub in our care), TBZ is the prime institution in Belize to see and learn about native wildlife. Stay tuned for updates about this amazing beauty of nature who will be an ambassador not only for an endangered species but also for a most amazing endangered area in need of your protection, the Chiquibul. Contact us to learn more and if you like what we do please consider making a donation to BWRC. The Belize Zoo has some exciting news to share! 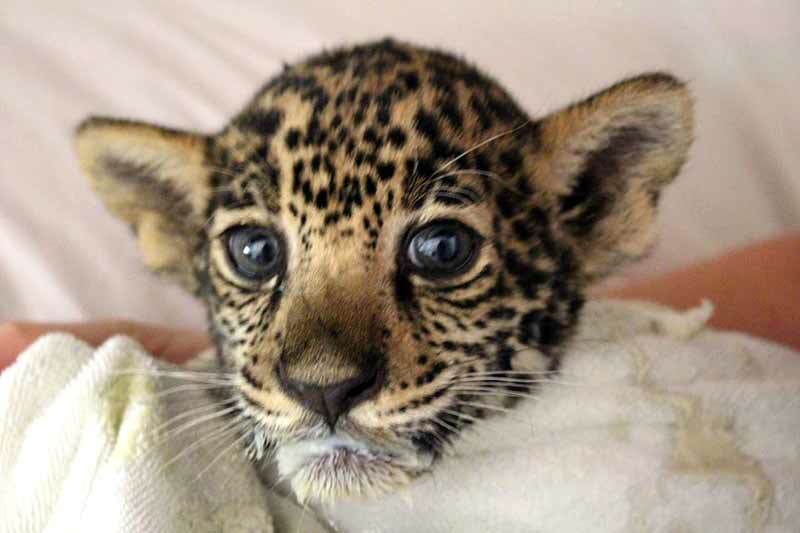 We are pleased to introduce our latest and littlest member of the Zoo family, "Chiquibul" the jaguar cub. She was rescued from drowning by our amazing colleagues at Friends for Conservation and Development - FCD Belize in the Chiquibul Forest. 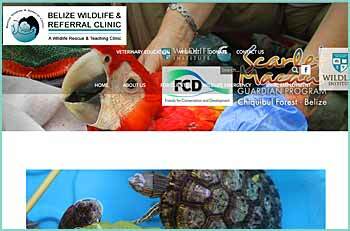 The young cub was in need of urgent medical attention, and was quickly transferred the Belize Wildlife & Referral Clinic. The wonderful BWRC team provided little "Chiqui" with exceptional medical care, and lots of love, as she made a strong recovery. Now at her new home at TBZ, Chiquibul is gradually losing her shy character and becoming playful and affectionate towards her caregivers. All of us are saddened knowing that "Chiqui" will never be living in the forest again. Hand-raised and accustomed to receiving her meals from two-legged friends, this, sadly, is not an option for her. Instead, Chiquibul will become a stellar ambassador. She will not only bring more attention about her species to so many, but she will also bring about a greater awareness about the threats, incursions and biodiversity losses occurring in the Chiquibul Forest, which was once her home. The plight of this invaluable part of Belize's natural heritage requires stronger attention and support. "Chiqui" the jaguar will have a crucial role in this effort, helping to inspire the safeguarding and preservation of the mighty Chiquibul forest for generations to come. TBZ gives a huge PAWS UP to FCD and BWRC for their heroic efforts on behalf of such a magnificent cat. Welcome to the family, Chiquibul!